Every year in the arena we present an array of arts & crafts and antiques that will please everyone. The Women’s Institute serves light lunches and will display quilts upstairs in the Springwater Room. 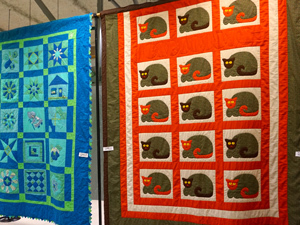 There is no charge to get into the Quilt Show upstairs (wheelchair accessible). They will also be holding a draw with proceeds going to Georgian Bay General Hospital Foundation.